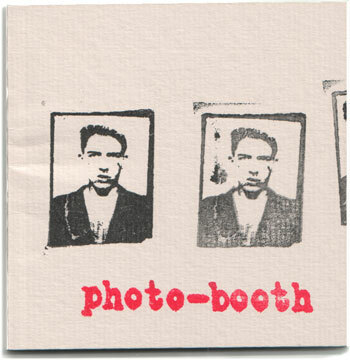 Billy Childish, an English artist, writer, photographer, filmmaker,and musician, collected photobooth photos of himself and his friends, including Tracey Emin and Sexton Ming, in this small, limited-edition book. The book has appeared on eBay a number of times in recent years, as we've noted on a few occasions. The Aquarium, who had been selling copies of the book through their online store, list the book as sold out as of early 2007.